Do you have an important presentation at work today? Are you going out with someone really special tonight? Could you use a fast-acting emergency teeth whitening session right now? Good news! 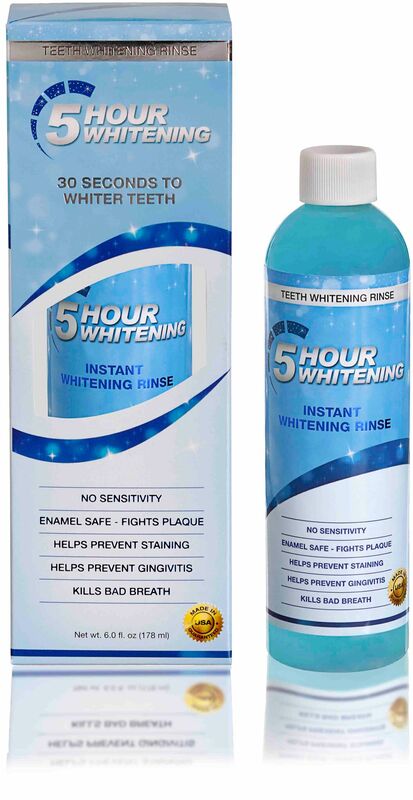 With BleachBright’s 5 Hour Whitening Rinse, you don’t have to hide dull, yellow teeth anymore. With just a 30-second rinse, you can get whiter teeth for hours! If you need to add a little extra dazzle to your smile right now, you need to try our 5 Hour Whitening Rinse. Just like normal mouthwash, take a small sip and swish it around in your mouth for 30 seconds. When you’re done, spit it out and get ready to smile! A 30-second rinse that instantly whitens your teeth. 5 hours of boosted whitening power. Convenience – Use it anytime, anywhere.